The way it stands on a flat surface is Apple’s way of saying ‘here is your Apple TV’. I did NOT buy a keyboard or a case because I love my Mac Air for work and writing and the cases are lame. 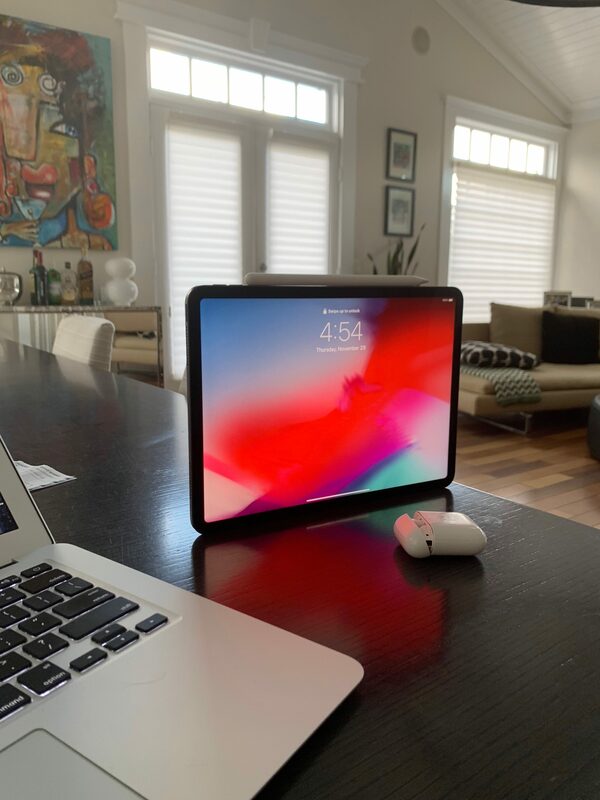 I imagine there will be all sorts of elegant stands and swivels for much larger size versions of this iPad in coming years. The days of TV’s on your wall are almost over – which is good for artists! Also – don’t get me started on how ridiculously good the Airpods continue to be as part of my Apple workflow.